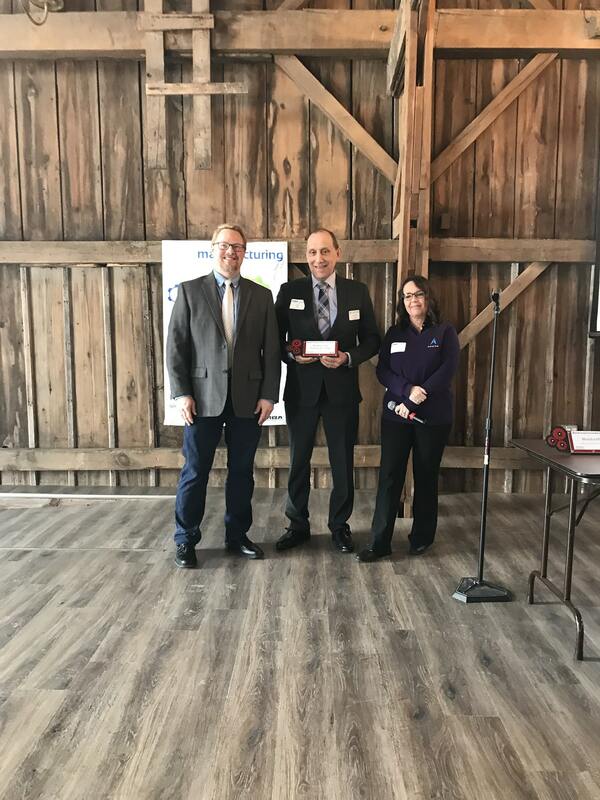 Moraine Park Technical College was recently recognized by the Manufacturing Business Alliance (MBA) of Dodge County as a partner in manufacturing education. Dr. Jim Eden, VP of Academic Affairs at Moraine Park, accepted the Manufacturing Education award at the February monthly MBA meeting. To learn more about MBA of Dodge County, visit http://dodgeregionmba.org/. For more on Moraine Park programs, visit morainepark.edu.